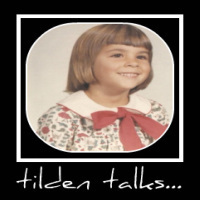 tilden talks...: Math Woes Be Gone - Help is On The Way! I have such a hard time with math. In fifth grade we learned long division and I can remember being so stressed, I cried and went to the nurse. Once there I was expected to dry my eyes, go back to class, and apologise to the teacher for not learning correctly. The nurse had no sympathy. The office ladies resented my disruption of their day. Back in the classroom, was ashamed to let every other kid in the class know that I had no idea how to do long division and the concept was lost on me. My only option was to go to the teacher and admit I needed help. I would have been placed at the board, in front of everyone, and been "helped" with the whole class watching. I kept my mouth shut. I failed math that year and every other year I was in school. I failed college math. I can't remember how I learned long division, but it was not in that 5th grade classroom. I never asked for Math help that day in class or any other day. My math skills are limited to addition, subtraction, multiplication (using my fingers) and simple long division. I could have benefited from a Math Tutor. I probably could have been helped by my teacher, but I was too shy to admit my inability to grasp concepts, so I just fell further and further behind. This has affected me every day of my life. At work, when I have to double recipes, I have to get a kid to do the math for me. If no "Math Problem Solver" is available, I don't add the fractions, I just measure twice. This method is not ideal. Today, there are Math Tutors Online, available whenever one needs them. Tutornext.com can provide excellent help for any level from kindergarten through college. A student can connect to tutor as often as they need help and just when they are ready to learn. Rates are convenient and affordable, and one can get help with homework assignments too. An Online Tutor from tutornext.com can help provide online tutoring at the cheapest rate and provide high quality one on one supplemental education. An Online Math Tutor would have been a great help to me. I may even give online tutoring services a try today. The kids at work would thank me, they are tired of doing "simple" calculations for me. I didn't get math at all until my college math instructor, Massoud, had the time and patience to make it all comprehensible. The hardest thing for me was understanding that fractions, decimals, percents and division were all the exact same thing! Why didn't my 4th grade teacher just say so in the first place?